1st Place: It was a very profitable 40 minutes for the team of Bud Tonkel and Quinn Hoyer; to be exact, $1,225 valuable. “We fished breaklines all day,” admits Tonkel, “but we did not catch a single keeper until we came across one weedbed that produced all five.” That weedbed also produced another five pound class fish that would have shook up the Record books had it not come off. 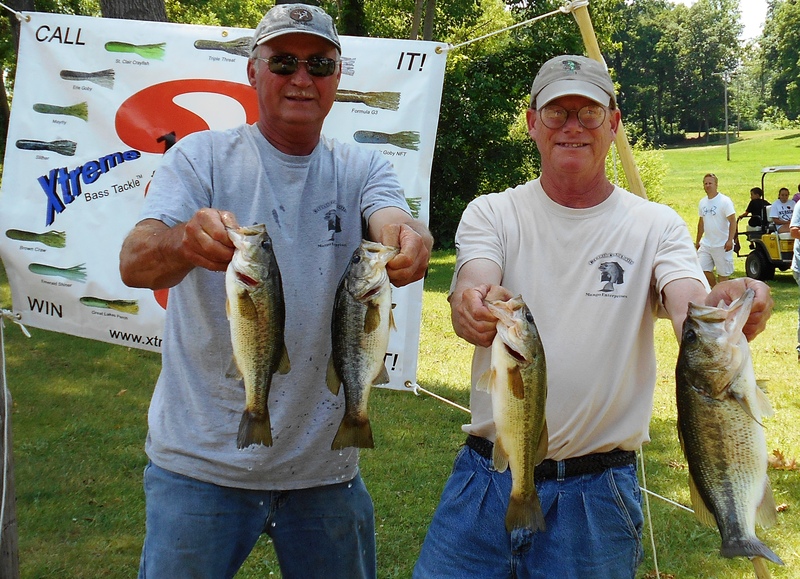 weeds,” Tonkel reveals, “Beyond that, nothing stuck out to be significant.” This came after what that team calls a “horrible” practice and nearly 100 nonlegal fish for the day. 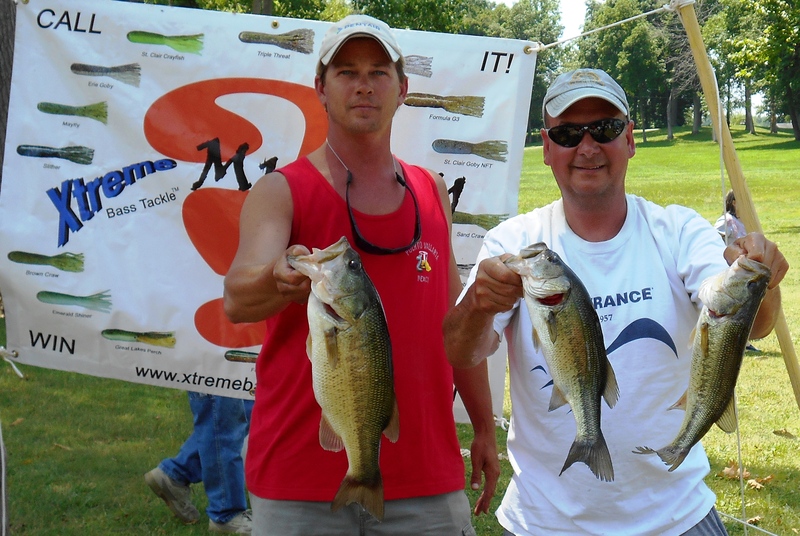 The limit included the Money Mouth Baits Big Bass, a 5.31 pound toad, the tenth heaviest fish in R & B History. 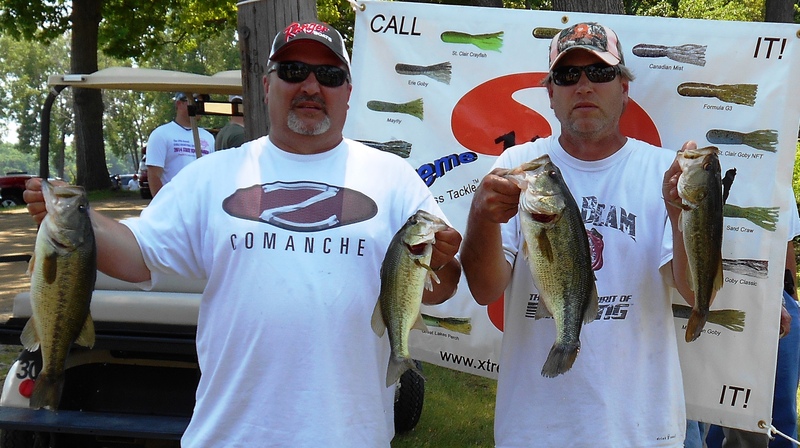 They won $801 for the victory and another $424 for the big fish. Tonkel humbly admits, “This was my best day ever on Randall! I had never weighed a limit from here before.” The 14.69 pound limit of fish came from a combination of jigs and wacky rigged senkos. The big fish came from the senko. 2nd Place: Familiar faces landed in the top five, after all it was the eighth time in their R & B career. 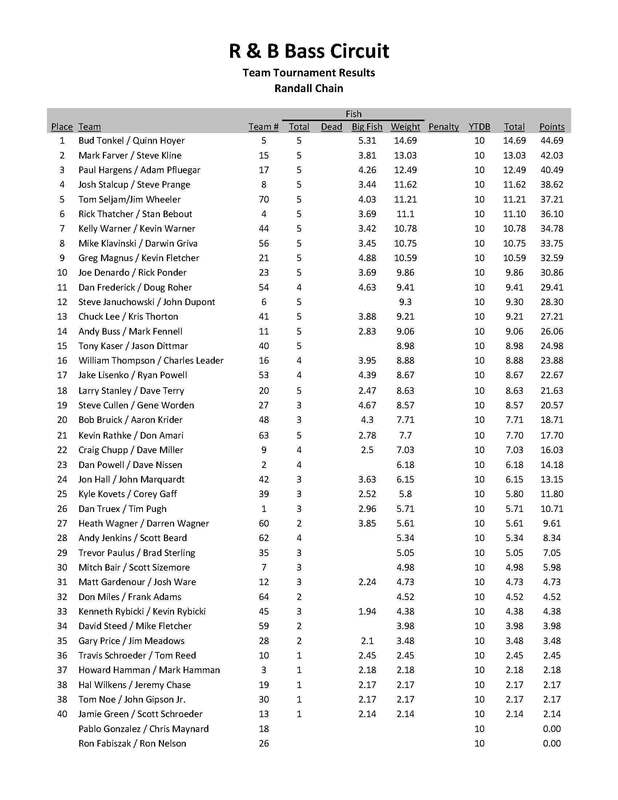 This distinguishes Mark Farver and Steve Kline as the sole owner of the #2 slot in the all time Top 5 finishes. On top of that, a 13.03 pound limit put another $505 in their pockets. 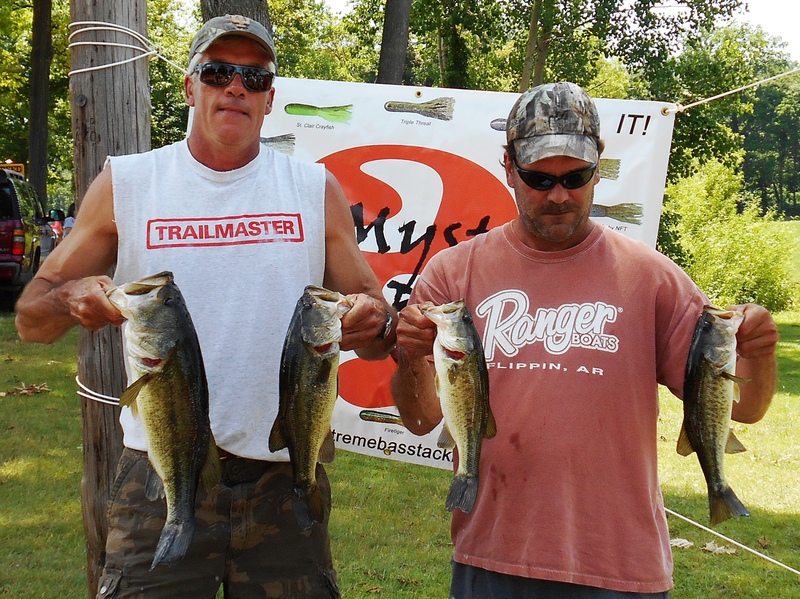 Like the winners, the team found a honey hole during the final two hours. “We were on our way back to Craig Lake to finish out the day,” admits Kline. “We had just a couple of small keepers caught on a drop shot rig in the boat when we came across a hump that rose from 13 to 11 feet.” Here they caught 12 more keepers on a ¼ ounce black/blue jig and a C Flash crankbait. 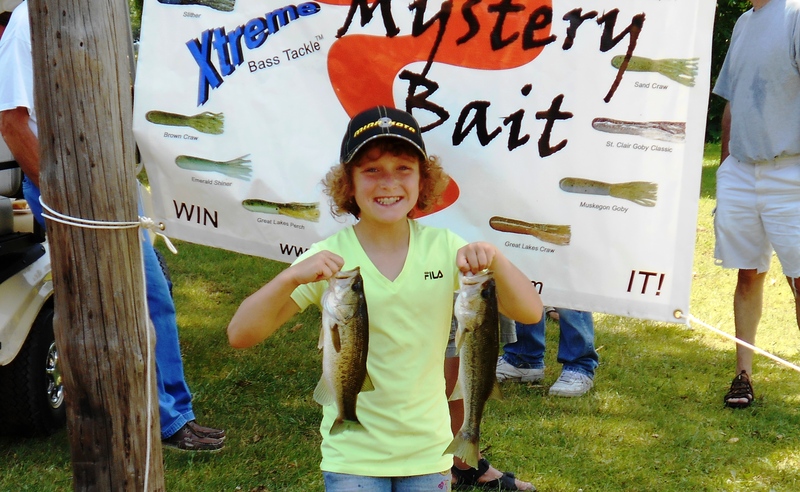 They culled out all of their small keepers caught on the drop shot. 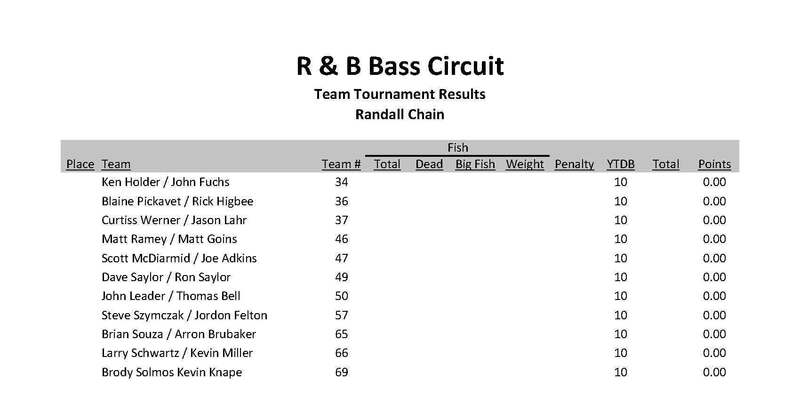 3rd Place: Neither Paul Hargens nor Adam Pfleuger had ever been to Randall before practicing for this tournament, and to make the event more challenging, outboard motor trouble kept the team from covering much of the water they planned to cover. Regardless, the team still managed a 12.49 pound limit to win $365. swimjigs in green pumpkin color schemes were used to land their catch. “We used the worms on the outside edge and dropped the swimjigs in the holes of the weedbeds,” Hargens reveals. Now with a little extra cash, perhaps the team can address their motor issues. 4th Place: Steve Prange finished in fourth place at Randall in 2013. In 2014, with new partner Josh Stalcup, the result was the same. 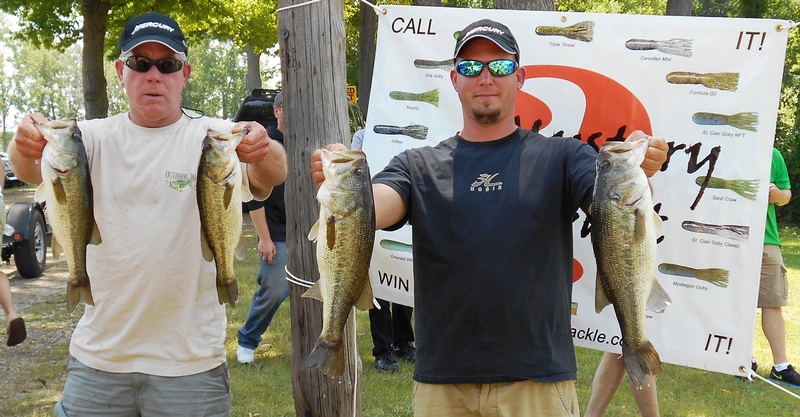 Relying on last year’s experience and a decent practice, the team covered a ton of water, and their efforts produced 11.62 pounds, which won them $253. swimbait. We then moved to another area on Craig and Steve pegged one of a jig. Then we went all the way to South Lake. 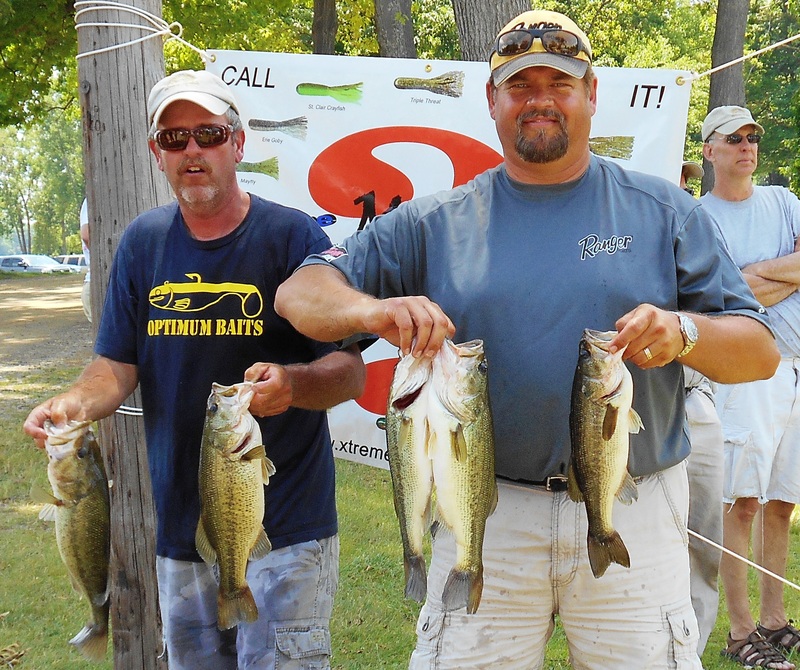 5th Place: Newcomers to the R & B Bass Circuit, and traveling all the way from Hammond and Valparaiso, Indiana, Tom Seljan and Jim Wheeler compiled a 11.21 pound limit to claim $225. After the topwater bite fizzled, the team spent most of their time working jigs in the weeds. 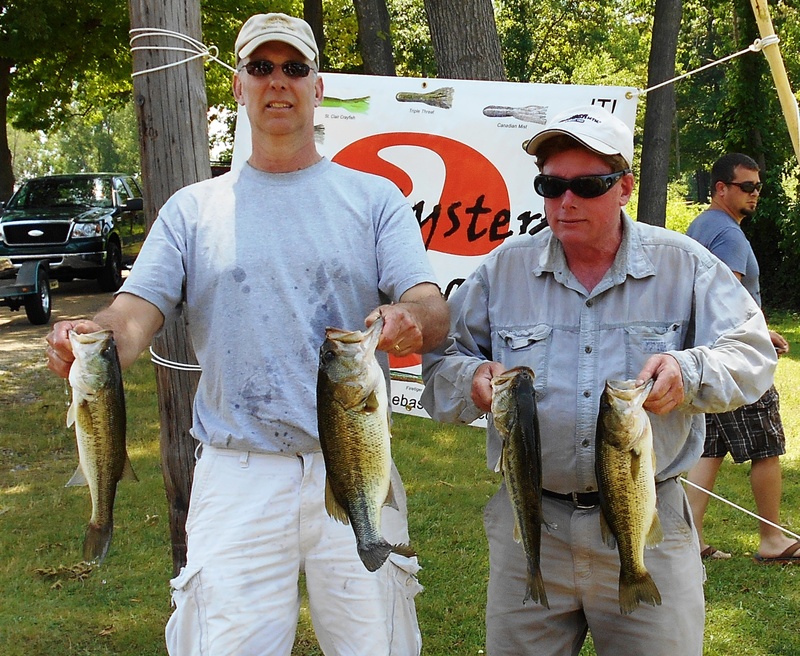 With the exception of a keeper on a frog, the rest of their fish were victim of their jigs. 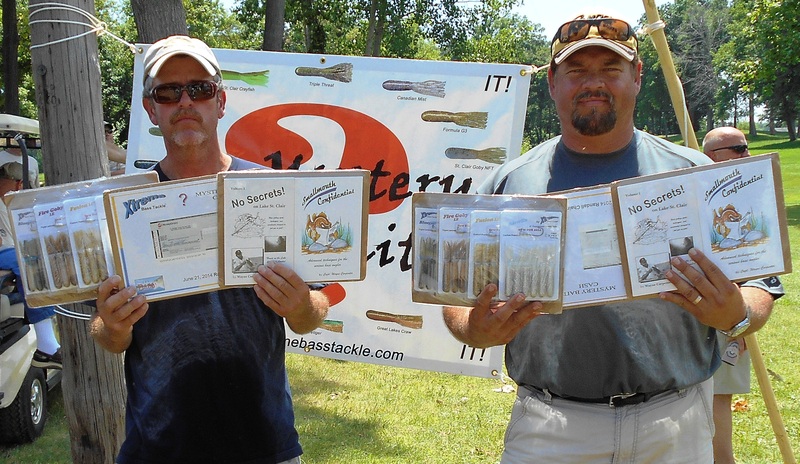 It was a profitable day for Mark Farver and Steve Kline. 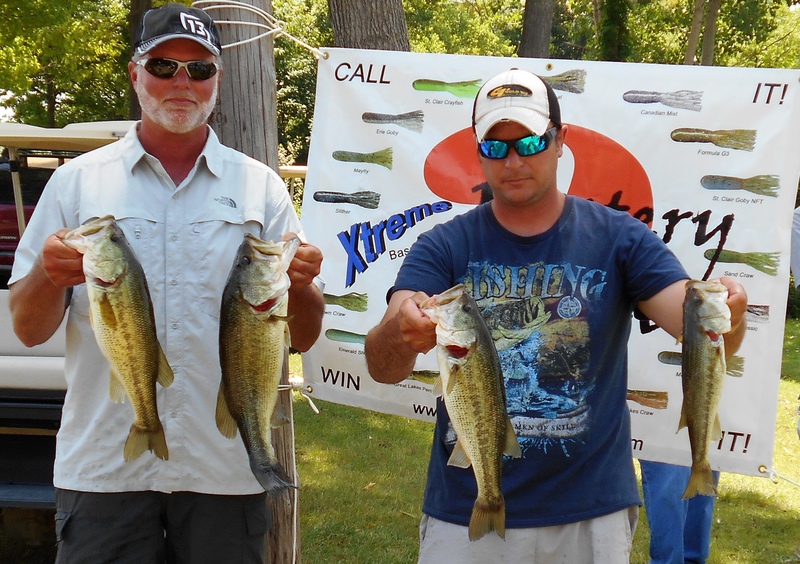 On top of finishing second, they also cashed in over $200 of cash and prizes presented by Xtreme Bass Tackle. 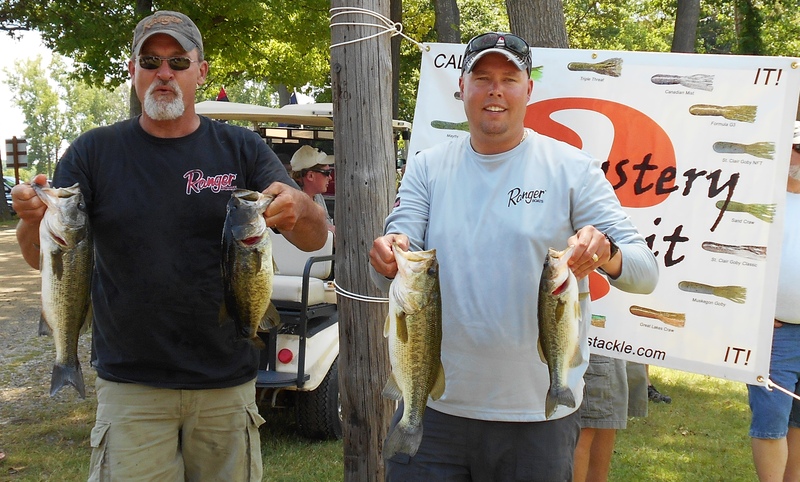 6th Place:Rick Thatcher and Stan Bebout (left) have found themselves in the money making business the past two tournaments and now find themselves in the top 5 in the Standings. Here their 11.10 pound limit won them $200. 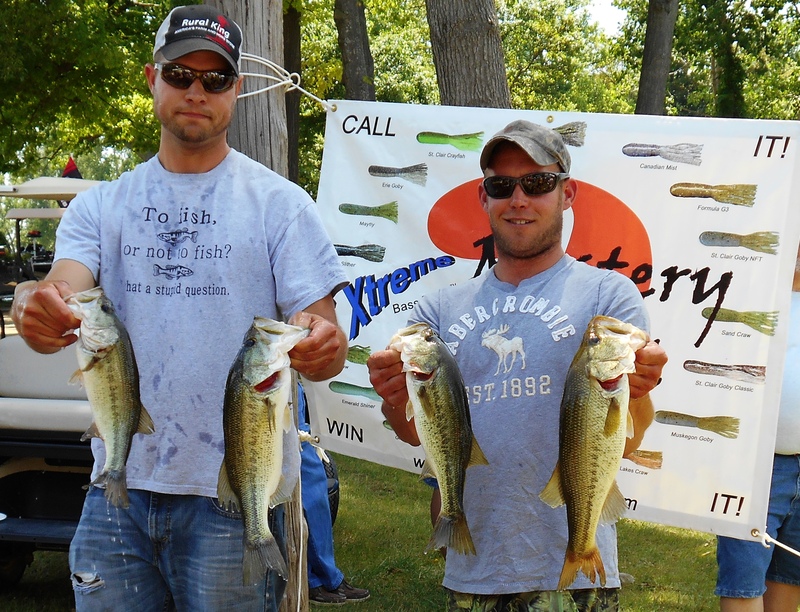 7th Place: A 10.78 pound limit was good enough to win $168 for Kelly and Kevin Warner. 8th Place: Bolstering their lead on the Standings, "Bear" Griva and Mike Klavinski left) weighed 10.75 pounds to add $126 to their wallets. They are one of just two teams to cash in all three events. 9th Place: Speaking of cashing in all three events, the only other team to do so, Kevin Fletcher and Greg Mangus are the defending Season Champions and sit just a handful of points behind the current leaders. They backed up last season's victory at Randall with a solid 10.59 pounds and the second heaviest fish - 4.88 pounds largemouth. 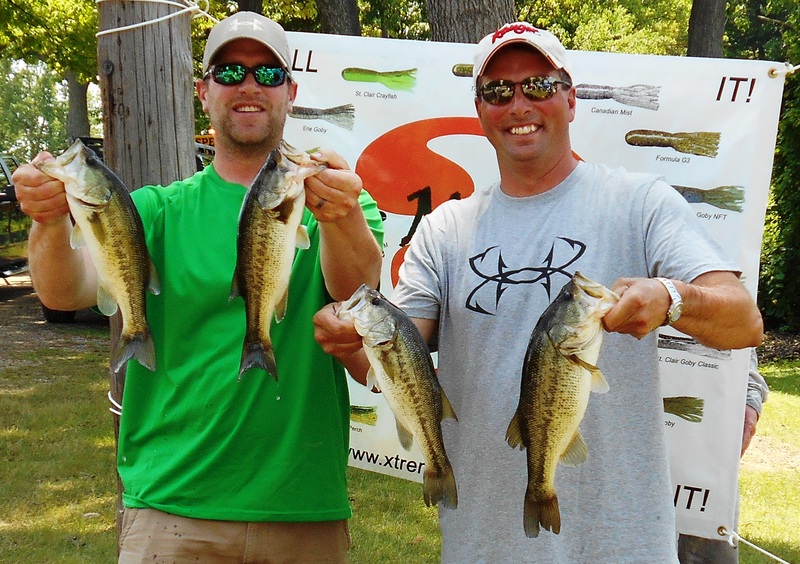 The finish gave them $100 and big fish another $106, making their day worth $206. 10th Place: Joe DeNardo and Rick Ponder have cashed twice this season and find themselves nestled in 6th place overall. Their 9.86 pounds at Randall won them another $90. 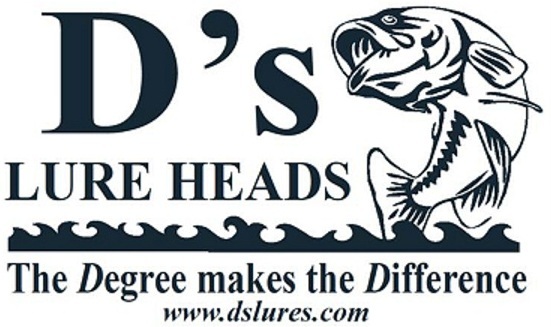 D's Lures Award:Dan Frederick and Doug Roher earned gear provided by D's Lures by weighing 9.41 pounds, but was not present to collect, so it was handed down to the next team. 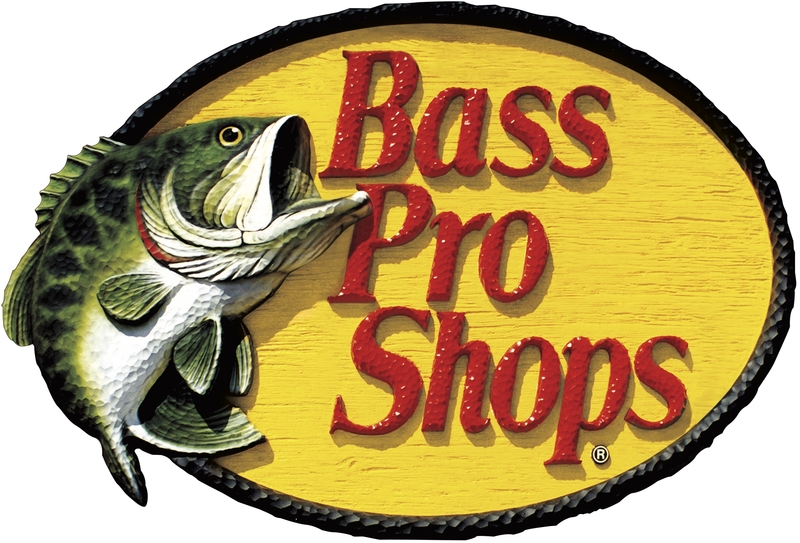 Bass Pro Shops Award:Jason Dittmar and Travis Terry finished 15th place with 8.98 pounds and won an Extreme reel provided by the BPS store in Portage, Indiana. 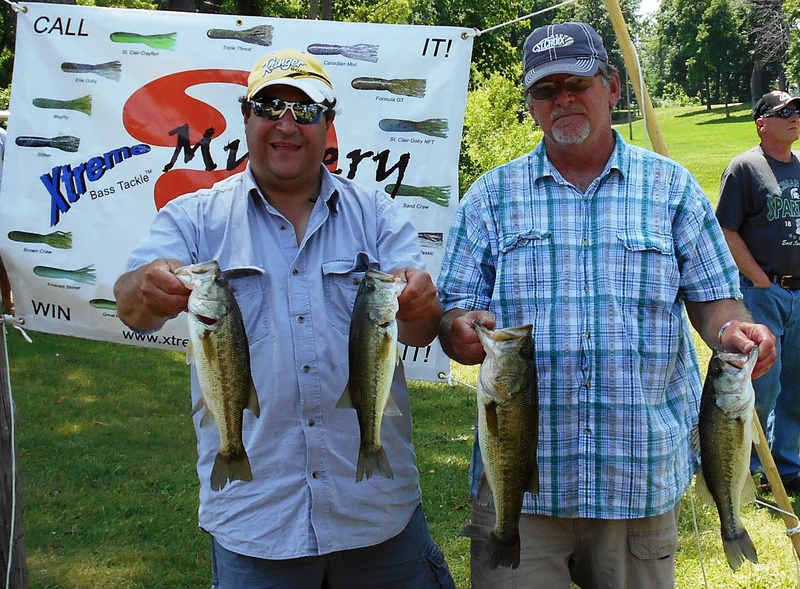 Solar Bat Sunglasses Incentive: Finishing in 20th place with 4.23 pounds, Aaron Krider and Bob Bruick qualified for the Solar Bat Incentive worth $200 in cash. Make sure you are qualified! Starboard Choice Marine Challenge: With just 3.59 pounds and a 22nd place finish, Kyle Kovets and Corey Gaff are eligible for a prize worth $90.